Amid political and financial uncertainties, chances are good that indices continue their sell off. 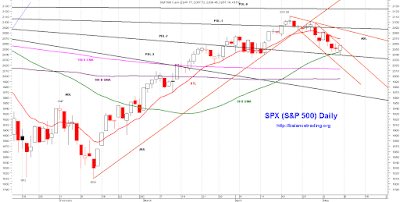 SPX is now trading in a well established down trending price channel. 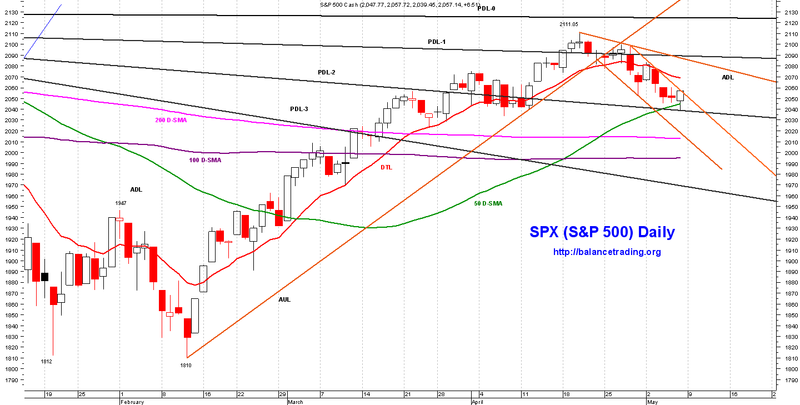 SPX is on its way to test its 200 D-SMA around 2010. My plan is to keep my short positions open for now.